You may submit the Reservation Form, but be sure to read our Rates & Requirements page first. We are located on Hwy. 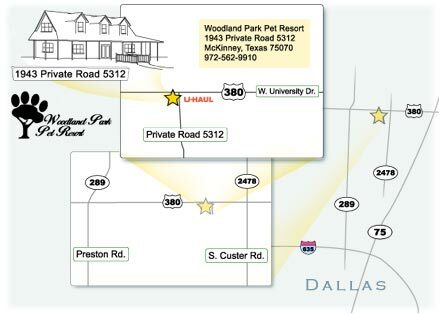 380, 3/4 mile west of Custer Road in McKinney, Texas. Click on the map below for a larger, printable version.